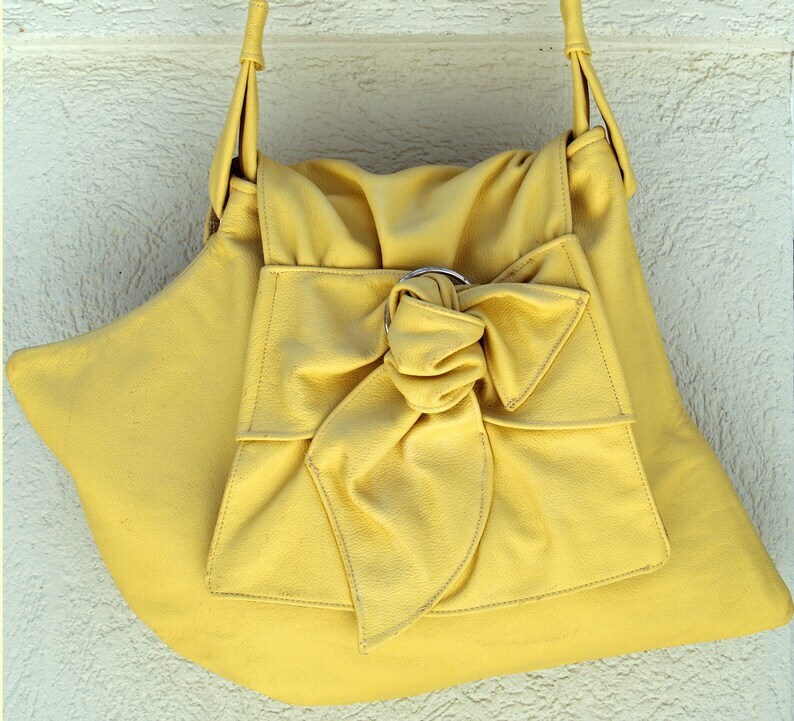 Yellow leather hobo handbag in my signature shape. Unique design and in great color. Handbag has a 16" drop, an abstract knot on the flap and a beautiful lining. There's a matching belt which is sold separately. A Divinely inspired creation.